High quality research—and the evidence that it yields—is essential for improving global health and health equity, as well as economic development. In 2009, member states of the Pan American Health Organization (PAHO) approved a regional policy on research for health in the Americas, the first such WHO regional policy. It was developed to harmonise with and complement WHO’s Strategy on Research for Health. This collection explores how this research can drive effective and efficient health systems across the Americas, and offer insights and perspectives on developments and challenges following the implementation of these policies. Carissa Etienne, Kamran Abbasi, and Luis Gabriel Cuervo discuss the evolution of health research to reshape national health agendas. Numerous initiatives have contributed to health data transparency in the Americas, but further coordinated effort is needed to ensure the reliability of research for health, argue Trudo Lemmens and Carlos Herrera Vacaflor. Good governance practices are crucial for advancing research for health in LAC countries, argue Luis Alejandro Salicrup and colleagues. The region still needs to build its research capacity to inform effective public health policy and practices, say Fabio Zicker and colleagues. Translating knowledge into policy and practice can improve public health and health systems in the Americas, say Tomás Pantoja and colleagues. Marshall Tulloch-Reid and colleagues argue that development of research capacity in Latin America and the Caribbean requires investment in both individuals and regional institutions. Jaime Miranda and colleagues argue that partnerships are key to building and sustaining health research capacity in Latin America. This series of articles was proposed by PAHO/WHO and commissioned by The BMJ. The BMJ thanks our series adviser, Luis Gabriel Cuervo for valuable input and advice and guiding selection of topics and authors for the series. All articles were independently peer reviewed and edited by The BMJ who had sole responsibility for the decision to publish the articles with no involvement from PAHO/WHO. Open access fees for the series are funded by PAHO/WHO. 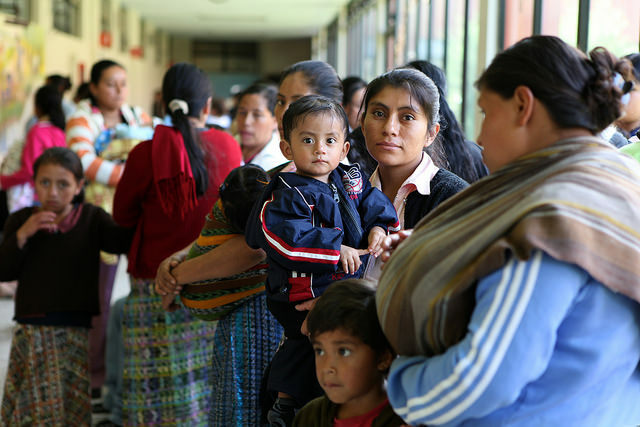 The Pan American Health Organization (PAHO) is the specialized international health agency for the Americas, and works with countries throughout the region to improve and protect people's health. PAHO engages in technical cooperation with its member countries to fight communicable and noncommunicable diseases and their causes, to strengthen health systems, and to respond to emergencies and disasters. The designations employed and the presentation of the material in this collection do not imply the expression of any opinion whatsoever on the part of the Pan American Health Organization concerning the legal status of any country, territory, city or area or of its authorities, or concerning the delimitation of its frontiers or boundaries. The mention of specific companies or of certain manufacturers/products does not imply that they are endorsed or recommended by the Pan American Health Organization in preference to others of a similar nature that are not mentioned.